Jessica Bell is a Ph.D. student in Sociology, Animal Studies, and Environmental Science and Policy at Michigan State University. She holds a Bachelor’s of Science in Human Development and a Master’s of Arts in Psychology from Northwestern University. She developed an interest in interdisciplinary research through her work at the Social Neuroscience Laboratory at the University of Chicago, where she studied social resilience and health through biological, psychological, and sociological levels of analysis. 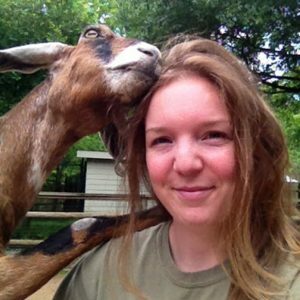 Jessica’s research interests include scientific representations of animal behavior and mind, trans-species psychology, the impact of visual and discursive representations of nonhuman animals. 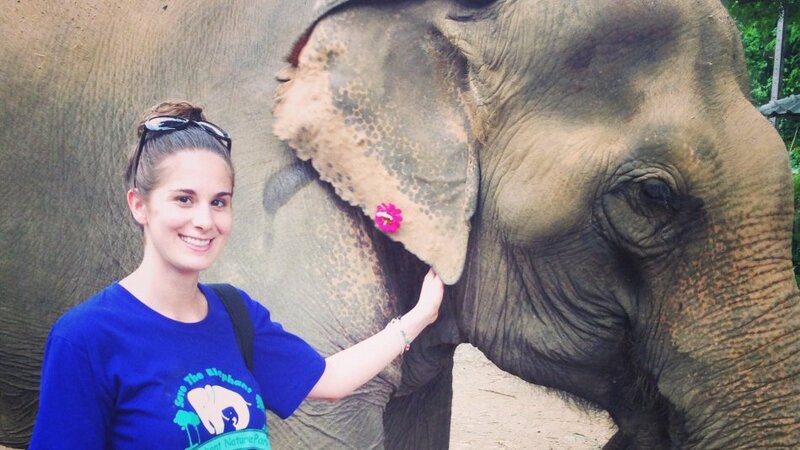 Her practicum took place at the Boon Lott Elephant Sanctuary (BLES). She will also begin research into banning exploitative trade and use of Asian Elephants. Jessica received a grant from the Animal Welfare Trust to support this work. I first met Dr. Bradshaw in 2006 while I was writing a paper for my 10th grade English class. I had to write about a mental disorder and I wanted to write about something unique. Around the same time, Dr. Bradshaw had just discovered an interesting phenomenon: elephants can suffer from Post-Traumatic Stress Disorder. I saw her work featured in many places. I then became an intern at The Kerulos Center. Apart from conservation, the Kerulos center specializes in trans-species psychology. Trans-species psychology is a field of science in which common forms of brain, mind, and behavior holds for all vertebrates, humans and elephants included. Over time, my role in Kerulos expanded, and I began to collaborate. After the conference in Cambridge, I became a Research Assistant for Kerulos and applied for medical school. During this process I began to realize the importance of compassion and kindness. Through my work at Kerulos, I saw just how much other animals could teach us about the qualities of compassion and care, noble qualities that should be upheld by all people, physicians especially. Currently, I am pursuing an MD degree. However, that has not stopped me from continuing my work at The Kerulos Center. We are working together on a course to help educate people about the importance of Asian elephant self-determination. Elephants are sensitive, mentally and emotionally, and I feel that humans can learn from elephants while keeping a peaceful coexistence with them. There are also many sides to these issues, as many institutions have different views and are not always ready to collaborate. Thanks to the Kerulos Center, I have been given an opportunity to explore every aspect of these issues. I enjoy learning about these schools of thought, as well as trying to close the gap between them. I feel if we all come together, it may be the best chance for the elephant’s survival, as well as our own. I am about to go into my third and final year at the University of Exeter, Cornwall UK, where I am studying my Undergraduate Bachelors Degree in Animal Behaviour. I have always felt a connection with Animals and Nature, but since starting the Animal Being Internship with The Kerulos Center the connection has become stronger and purer. My lessons from the Animal Being Internship have taught me how to open my eyes and heart and step into the world to hear the stories of all Beings. I am so grateful to Dr. Gay Bradshaw and her teachings, as I believe this internship has changed my life for the good and has taught me so many vital life lessons to live in peace with other Humans, Non-Humans and the whole of Nature. While I enjoy learning about the behaviour of Animals, after my teachings from The Animal Being Internship, I have realised that the study of Animals should not just stop at behaviour–it is extremely important to learn about the Animal psyche and what they think and feel also. My goal is to work in a Sanctuary with rescued Elephants and other Animals and help them recover from trauma and for them to live their lives in peace and freedom. You can have love for another Being but to truly love them you must feel the connection deep from the heart. You must take the time to be within the moment with another Being and hear their story. Humans often fail to hear the stories of a Non-Human as Non-Humans cannot use words in the same way we do; this means that their stories are wrongly disregarded. However, words do not matter, what matters is feeling the connection and to be able to pick up on what an Animal is thinking and feeling in that moment. Sometimes the Being will simply just want you to be still and at peace with them for a few moments. Love can be felt by seeing an Animal but for true love to occur they must be heard and understood also. As a native of the Southeast U.S., I don’t come across many people who share my views on animals. I became a vegetarian when I was nine and didn’t meet another one until my sister cut out meat five or six years later. I’ve made it a mission to put my most compassionate foot forward by making the smallest impact I can and finding opportunities to help animals in need since I was old enough to know I could. I started volunteering as a wildlife rehabilitator in 2007, eventually landing a seasonal internship caring for orphaned, injured, and displaced songbirds. This is when I discovered what I would later know as accompaniment. I knew that I would endure almost anything if it meant another bird grew strong enough to be returned to the wild; what’s more – I would take joy in it. While volunteering, I had the pleasure of getting to know several non-releasable birds of prey who taught me the complicated nature of wild animals in captivity. I had to know what they experiencing; were they happy? Sad? Confused? Bored? Amused at my barrage of questions? This curiosity inspired me to seek out the Animal Behavior program at Southwestern University. As a student there I received a formidable education and was privileged to work with a variety of animals, albeit in laboratories: tadpoles, goldfish, hermit crabs, tortoises, rats, and ultimately chimpanzees. My professors assured me that the animal mind was too limited to be affected by the concept of captivity or the pressure of scientific manipulation, but they couldn’t quiet the voice in me that said they were wrong. 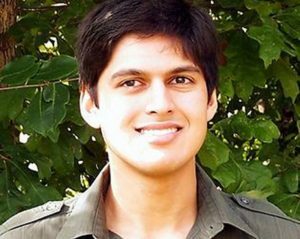 After graduating, I was fortunate enough to be accepted as an Intern and eventually employed as a zookeeper of a wide range of mammals at the local zoo. Regardless of species, each animal relationship I formed was challenging, rewarding, and surprising with the capacity to teach me something new. The only relationships that were stagnant were those with my superiors who still didn’t listen when I told them something was wrong. They were denying, in anthropodenial of what I had known for so long, what I had witnessed across species and time. Animals are greater than we give them credit for. I found my way to the Kerulos Center and under the tutelage of Dr. Bradshaw after multiple experiences I’d hoped would channel my compassion for animals had turned exploitative. I’d cited Dr. Bradshaw’s works exhaustively in the process of obtaining my undergraduate Animal Behavior degree from Southwestern University. Her insight into the elephant psyche was inspiring and resonated with me in a way nothing else had, so I reached out to her hoping for guidance. She encouraged me to pursue the internship and so here I am! Through the internship my love of animals has honed into a passion for healing. I am now pursuing a Master’s Degree in Clinical Mental Health Counseling and the necessary credentials to treat PTSD in animals, including elephants, using EMDR (Eye Movement Desensitization and Reprocessing). 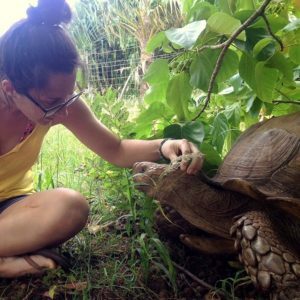 This internship is not only a powerful education; what I’ve learned has enriched my yoga practice, nourished my relationship with food, changed my perspective as a volunteer wildlife rehabilitator, and supplemented how I treat my own companion animals and any others that cross my path. I’m so grateful for the tools Dr. Bradshaw and all the contributors to the internship have equipped me with so that I can do my part to change the world for animals. 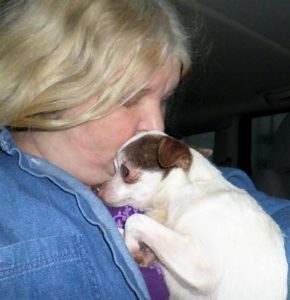 At one point I had considered closing down our rescue, Safehaven Small Breed Rescue, after 18 years of pulling breeder dogs out of puppy mills. Frustration, exhaustion and desperation had me ready to throw in the towel. That’s when I did a search for a support system and came across The Kerulos Center. I signed up for the Caring for the Caregiver class and internship it was the best thing I could have ever done. I learned that before I could take care of the rescue animals, I had to take care of myself. Through this course I was able to center myself, become grounded and more confident in my position as rescuer. I am glad to say that our rescue is still going strong, even better than before and it’s because of what I learned through The Kerulos Center. The Kerulos Center offers Internships for students, professionals, and others seeking to deepen their understanding of Animal minds and lives and put their learning into direct action. Translate learning experience to personal, professional, and ethical development. Interns learn how to use this new cross-species lens to explore Animal cognition, emotions, and experience, associated philosophical underpinnings, points of debate, ethics, and future directions for the field as well how to translate this understanding to concrete ways of living. 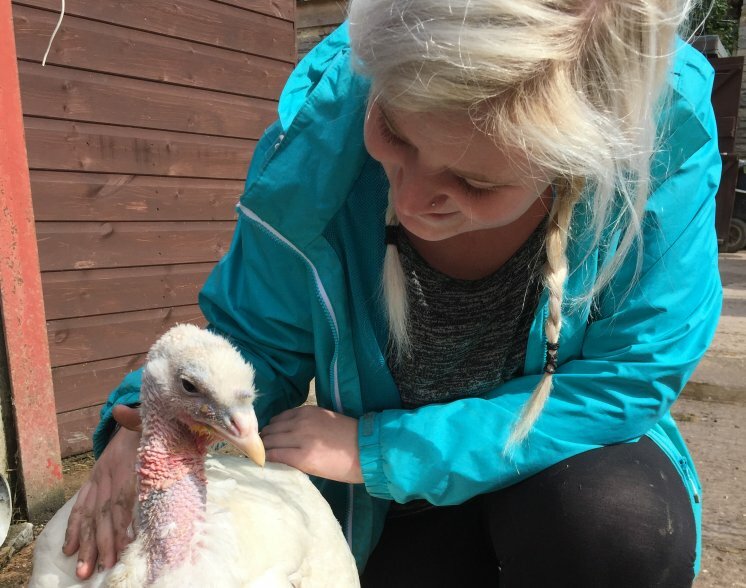 We offer two Internship tracks: Animal Being, for those interested in study and practice with an more academic and scientific emphasis, and Being Sanctuary that embeds trans-species psychology and trauma recovery in the The Principles of Being Sanctuary. Materials include video lectures, related references, readings, exercises, and study questions, all accessed through our online courseroom at The Kerulos Learning Institute (KLI). In appreciation of the relational nature of learning, Internships build around a model of mentorship. This includes one-on-one mentored sessions (phone, Skype) with Kerulos faculty members. These sessions are devoted to discussing course material, answering questions, designing a practicum, and reviewing exercises. Internships are comprised of three components: (1) coursework; (2) practicum with one of our U.S. or international partners; and (3) personal and professional development. Coursework is intended to lay the foundation for the design and engagement with hands-on application, the practicum which follows course completion. As you progress through coursework and the practicum, you explore with your mentor how to translate your experiences and learning into everyday life, career, and community. The goal is to nurture an integrative process connecting mind, heart, spirit, and conduct. Focused discussion and exercises are designed to integrate coursework into your everyday life, career goals, and profession. During the personalized practicum, the intern applies his/her learning directly to help Animals in need at one of our U.S. or international partnered rescue centers, sanctuaries, or an agreed upon project/site that reflects learning and serves the learner’s personal, professional, and career goals. Previous interns have worked in the U.S., India, Sri Lanka, Thailand, Cameroon, Ireland, Costa Rica, Australia, Africa, Canada, and Hawaii. For more information, please contact us at info@kerulos.org You can also view the video below for an in-depth portrayal of the internship experience from Thomas Goodwin. Becca Winkler, reflects on her Kerulos Internship. She is now Research Coordinator at Mahouts Foundation, Thailand.